Here, two of California's great compositions meet, as exceptional wine and intimate live music are paired to create an unforgettable wine country experience. 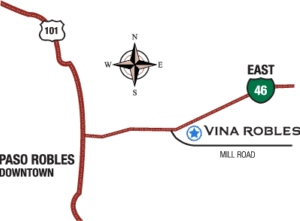 Located on Highway 46 East, just three miles from downtown Paso Robles and Highway 101. Starting Thursday, March 1, the Box Office will resume regular seasonal hours and be open Thursdays, Fridays and Saturdays from 10:00 a.m. to 6:00 p.m.
Tickets can also be purchased online, by calling 800-745-3000 or at Boo Boo Records.